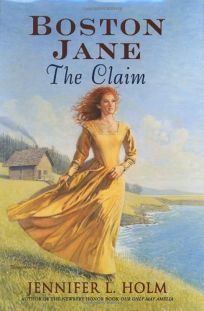 Boston Jane: The Claim by Jennifer L. Holm, continues Jane's ongoing frontier adventures in the Pacific Northwest. Her world turns tumultuous when Sally Biddle, her debutante nemesis, arrives at Shoalwater Bay intent on destroying Jane's life. Moreover, Jane must contend with her ex-fiance's attempts to turn the settlers against the native Chinooks.